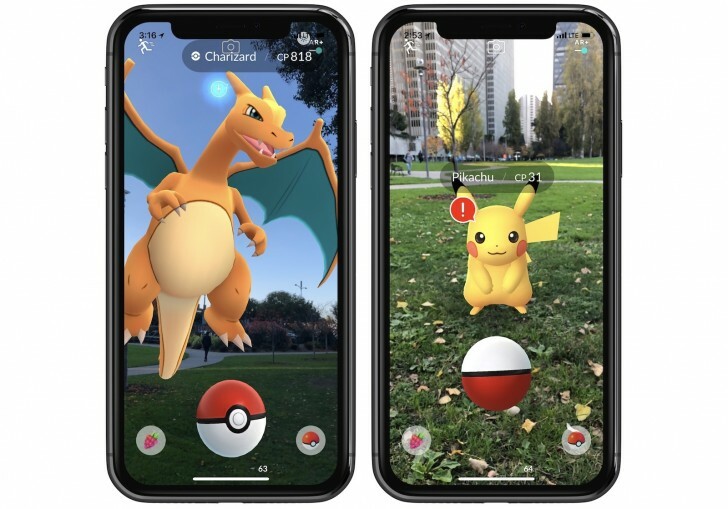 The Pokémon GO “AR+ Update” will reportedly make use of Apple’s ARKit technology, which can be found on devices with iOS 11. Once live, the AR+ Update will pave the way for more direct interactions with wild Pokemon on iPhone and iPad. For example, a Pokémon will respond accordingly should a trainer move closer or farther away from the screen. What’s more, Pokémon may even flee depending on how close the trainer gets. Along with the expanded AR features, Niantic is dropping bonuses such as the Expert Handler capture bonus which grants additional XP. The Expert Handler bonus can be unlocked after a trainer gets close enough to a wild Pokémon to catch it without causing the Pokémon to flee. Right now, there’s no set release date for the AR+ Update aside from Niantic stating that players can expect it “soon.” Additionally, there’s no word as to whether or not Android users will receive a comparable update. If we had to guess, though, we’d say it’s highly likely the AR+ Update will remain exclusive to iOS devices. For iPhone and iPad players, what do you think of the upcoming AR+ Update? Are you eager to try it out in Pokémon GO? Let us know down in the comments below! For more on Pokémon GO, be sure to check out our coverage of the recently launched Generation 3 Update.